A family owned business originally established in 1947 in the aviation management business offered, air charters, sales and flight training. This Midwest business was created in conjunction with Holland Truck Station and Restaurant, servicing travelers arriving from U.S. Highways 45 & 50. Gaining attention as one of the “state of the art” truck stops in the publication of the “Pure Oil” magazine. Holland’s later became affiliated with “Union 76” and expanded their restaurant business. Four of the Holland siblings continued the family tradition. The boys chose commercial aviation, under the watchful eye an F.A.A. Safety Inspector, who just happens to be their sister! The Holland aviators are now into their fourth generation. Shortly after the debut of the “Love Boat” another Holland sibling decided our skies had enough Holland pilots! Michael Holland embarked on career at sea with a major cruise lines..
Holland Cruise Staff opened branch office to develop group business and offer specialized travel. The travel division “Elite Destinations” was launched to offer luxury travel to discerning clientele. This “Niche” travel division offers Luxury Cruises, Villas, Yachts Charters, European Waterway Barge Charters, International Concierge Service, Food and Wine Tours, complimented by our ability of customize your trip. Villa rental specialties include some of the finer homes in Puerto Vallarta, Mexico. Earlier years, our only concentration was to rent our own townhouse villa in Puerto Vallarta. Local homeowners requested we promote their properties by offering their fully staffed homes to be available, upon request, to select clients. Our clients also enjoy the complimentary services of our Concierge in Puerto Vallarta. On July 1, 2005 “Holland Cruise Staff” became “Holland Travel, LLC” with new Owners, Michael Holland & Ray Careme. Michael and Ray officially launched their new division “Puerto Vallarta Villas” in Puerto Vallarta, Mexico in 1994; a property rental, sales and management company. Visit www.PuertoVallartaVillas.com for more information. Bill & Martha Holland left on their long journey to heaven in June & November 2009. We are looking forward to continuing serving you. Let us show you our world by embarking on your dream vacation! Michael Holland and Ray Careme form a part of the Puerto Vallarta Villas team. Both share a passion for travel and knowing the world, something that they have done for several years. In addition, they have extensive experience in the tourism industry, business management, and together operate the rental division of “Puerto Vallarta Villas”. Ray Careme, native of France, hails from the Champagne Capital of the world – Epernay, France. Ray’s education and experience in hotel and bar, management and ownership, is just a small part of his 26 years of International experience. Most notable is his work with Gerard Boyer of “Chateaux les Crayeres” in Reims, France. Conde Nast Traveler, Travel & Leisure, and Zagat Survey magazines awarded Boyer with “Best small Hotel and Restaurant in the World”. Duties included 7 years positions as Assistant food & beverage Manager, and as Maitre’d with Royal Caribbean International. Ray was also General Manager for “Celebrity Chef” Joachim Splichal of the Patina Pinot Group for 8 years, serving the Hollywood Elite. He was also General Manager for John Hurley with Garibaldi’s restaurants in San Francisco and Partner in “G’ Bar on Presidio Heights. Ray also worked in Corsica and England where he volunteered as a French tutor at an English public school for underprivileged children in his free time. Ray joined Holland Travel as a Partner to offer his expertise with shipboard experience, combined with great love of food and wines. As of today Ray has traveled to 54 countries in the world and 32 states in the United States, and growing. He was part of a television feature with the NBC Today Show. Ray coordinates custom luxury tours in Europe, World Cruises, Grand Voyages, Food & Wine Tours, Barge Charters, etc. and now is running in conjunction with Michael Holland an international real estate company Puerto Vallarta Villas. Holland Cruise Staff opened a branch office to develop group business and offer specialized travel. The travel division “Elite Destinations” was launched in Los Angeles Ca to offer luxury travel to discerning clientele. This “Niche” travel division offers Luxury Cruises, Villa rentals, Yachts Charters, European Waterway Barge Charters, International Concierge Services, Food and Wine Tours, complimented by our ability of customizing your trip. Villa Rental specialties include some of the finer homes in Puerto Vallarta, Mexico. Earlier years, our only concentration was to rent our own townhouse villa in Marina Vallarta. Local homeowners requested we promote their properties by offering their fully staffed homes to be available, upon request, to select clients. Our clients also enjoy the complimentary services of our Concierge in Puerto Vallarta. On July 1, 2005 “Holland Cruise Staff” became “Holland Travel, LLC” with partners, Michael Holland & Ray Careme. 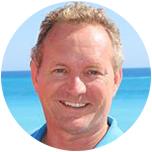 In March 2008 Michael moved full time to Puerto Vallarta followed by Ray in June, running the Mid West office virtually and working on their “Puerto Vallarta Villas” branch. Puerto Vallarta Villas was initiated in the United states in 1994. In March 2007 Michael and Ray launched their new office “Puerto Vallarta Villas” locally in Puerto Vallarta, Mexico, a property rental, sales and management company.